The 2018-19 NBA regular season is officially in the books, as we now look ahead to the NBA Playoffs which kick off this weekend. The defending champion Golden State Warriors won the West with a record of 57-25, while the Milwaukee Bucks recorded the best record in the league at 60-22. The festivities will officially get underway on Saturday, April 13 at 2:30pm ET on ESPN, with the Philadelphia 76ers hosting the Brooklyn Nets. 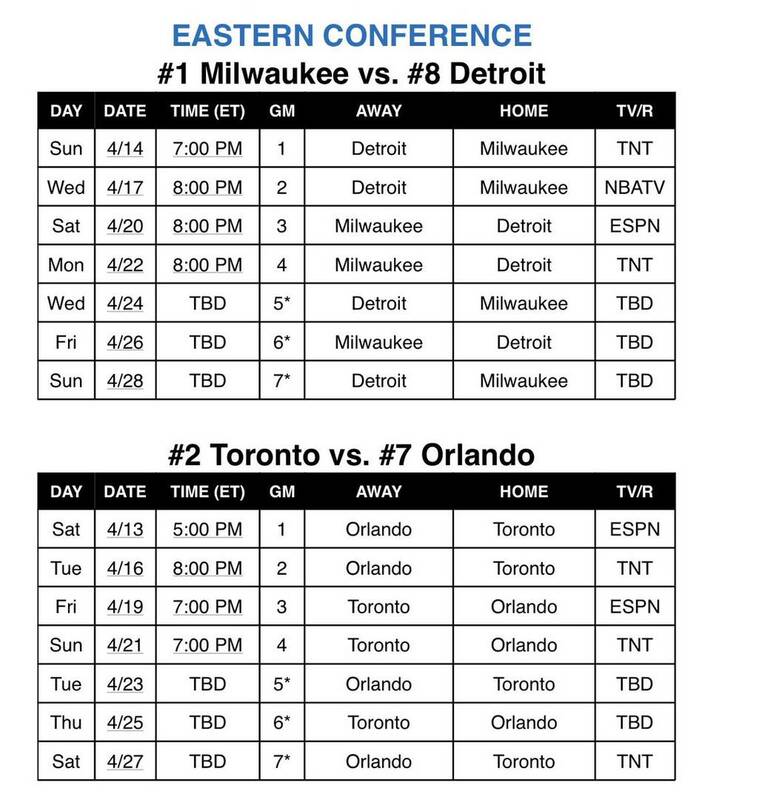 The second Eastern Conference matchup on Saturday features the second-seed Toronto Raptors vs the seventh-seed Orlando Magic. The Warriors will begin their quest for a third straight NBA title on Saturday, as they host the Los Angeles Clippers at 8:00pm ET on ABC. 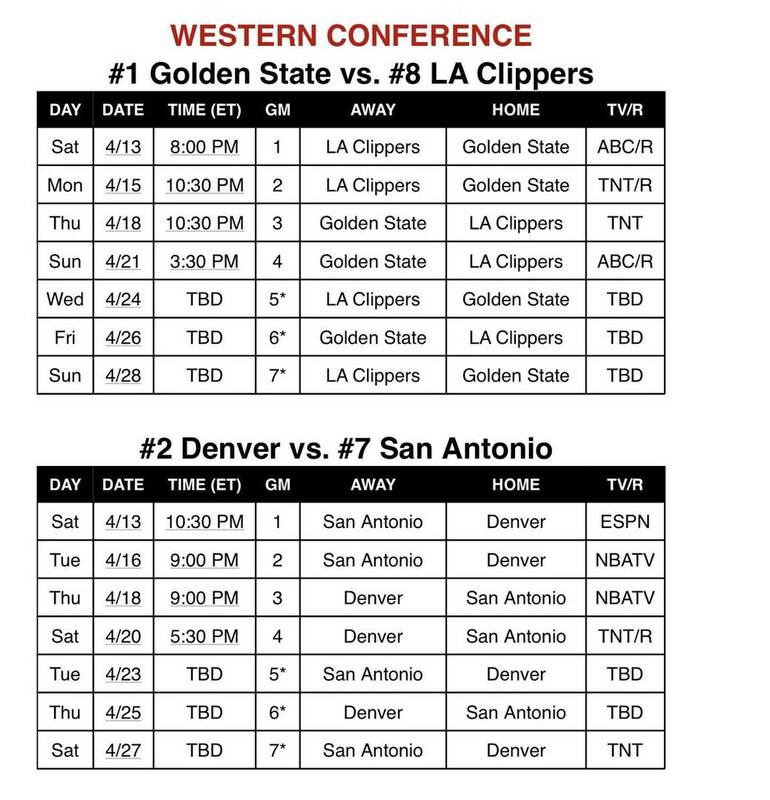 Saturday's slate of games concludes with another 2 vs 7 matchup - featuring the Denver Nuggets vs San Antonio Spurs. 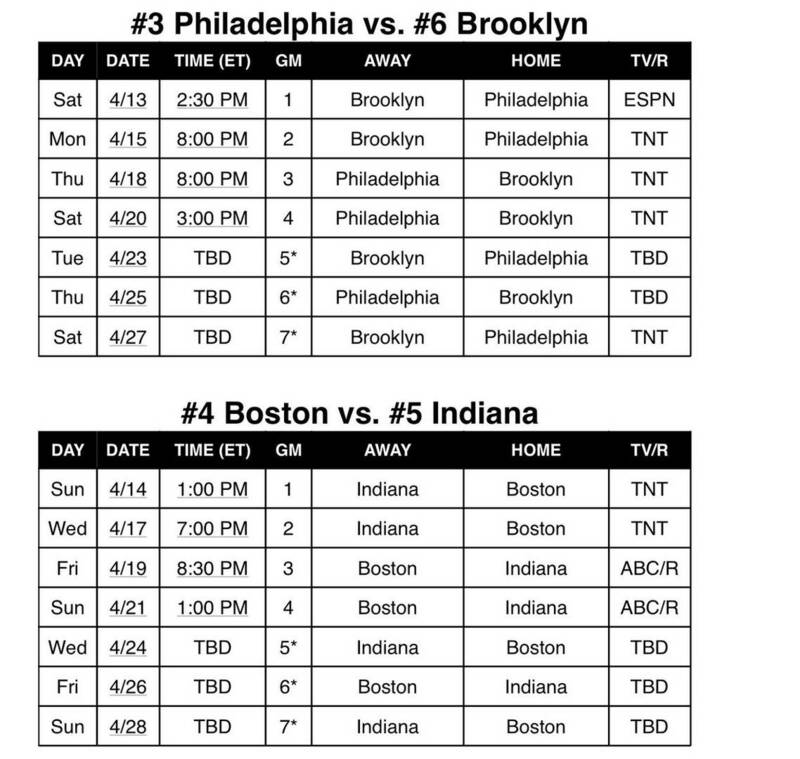 Sunday's slate kicks off at 1:00pm ET on TNT - Boston Celtics vs Indiana Pacers. Thunder vs Trail Blazers will follow that game at 3:30pm ET on ABC. Sunday night games include the NBA-leading Milwaukee Bucks vs the Detroit Pistons, followed by the Houston Rockets hosting the Utah Jazz. 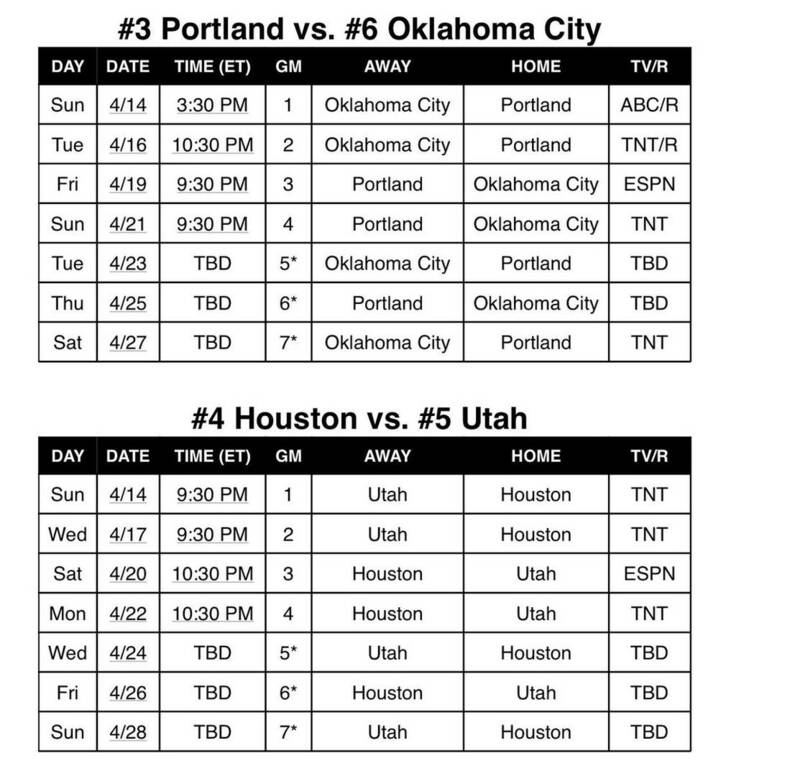 Scroll down for a look at the full tv schedule for each first round series.